Roger Wallace, PGA Director of Golf at Polson Bay Golf Course and Les Blakley, Community Relations Manager for the Kalispel Tribal Economic Authority have been honored as the 53rd and 54th members of the Pacific Northwest Section PGA Hall of Fame. 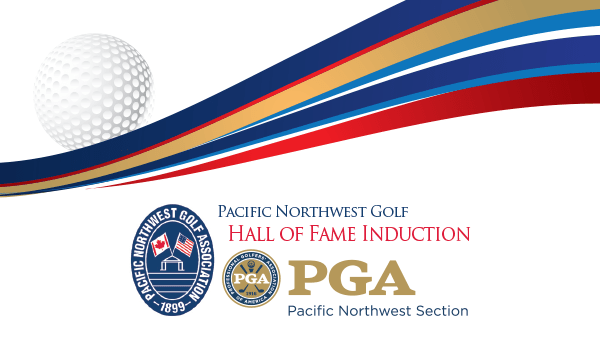 Founded in 1981, the Pacific Northwest Section PGA Hall of Fame recognizes those individuals who have distinguished themselves among the professionals in the Pacific Northwest and contributed to the game of golf. Roger Wallace has been the driving force at Polson Bay Golf Course for the past 30 years. He started as PGA Head Professional in 1987 and has been the PGA Director of Golf for the last 10 years. Prior to his move to Polson Bay, Wallace worked at Buffalo Hill GC and Meadow Lake GC. Wallace has been instrumental in elevating Polson Bay into an essential part of the community, raising significant funds for local organizations. Together with his staff, he has built a very active junior program, through which over 400 local kids participate annually. In addition to serving his community, Wallace has been an active participant in the association. He served on the PGA of America’s Board of Directors and was President of the Pacific Northwest Section in 1999-2000. 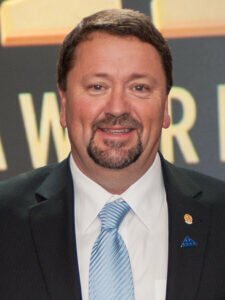 He was also President of the Western Montana Chapter and served on the chapter’s Board of Directors on four separate occasions. Wallace has been consistently honored by his fellow PGA Professionals as one of the very best in the Section. He was recognized as Golf Professional of the Year on three occasions (1997, 2000, 2008). 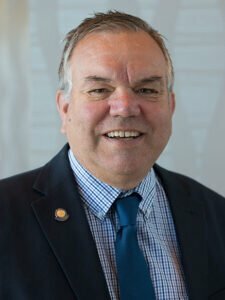 He is well-known as an exceptional mentor, as evidenced by being a four-time winner of the Pacific Northwest Section Bill Strausbaugh Award. He was awarded on the national level with the 2014 PGA of America Bill Strausbaugh Award. Wallace is further recognized for his development of young professionals. Nine of his former assistants and employees have gained PGA membership and become Head Professionals, Directors of Golf and General Managers. Born in Whitefish, Wallace grew up in Washington, attending high school in Ephrata and Yakima (Eisenhower HS) where he excelled on the golf team. He played golf at Spokane Falls Community College and finally at Eastern Washington University before graduating in 1982. Les Blakley was the PGA Head Professional of Kalispel Golf and Country Club (formerly Spokane CC) for 26 years after a five-year stint as an assistant to Gene Carbery. Blakley served his members with distinction and was bestowed with the title of Golf Professional Emeritus by the club in appreciation for his dedication. In addition to serving his members, Blakley was a common face on the association front. He was President of the Pacific Northwest Section in 2005-2006. He was also President of the Inland Empire Chapter and served two separate terms on the chapter’s Board of Directors. Blakley has been consistently honored by his fellow PGA Professionals as one of the very best in the Section. He was recognized as Golf Professional of the Year on two occasions (2006, 2014) and is a four-time winner of the Merchandiser of the Year Award for Private Facilities. Blakley has also been recognized a record eleven times by the Inland Empire Chapter as Merchandiser of the Year, over a 22-year period. Blakley grew up in Gresham, Oregon. He played on the golf team at the University of Portland, where he led the team in his senior year. He entered the golf business at Columbia Edgewater CC under fellow Hall of Fame member Jerry Mowlds, before moving to Twin Lakes Village in 1982. He moved to Kalispel Golf and Country Club in 1985 and remains with the company to this day. Both professionals will be formally inducted into the Pacific Northwest Section Hall of Fame on April 28, 2017 at the Pacific Northwest Golf Hall of Fame Induction Ceremony. This joint celebration between the Pacific Northwest Section PGA and the Pacific Northwest Golf Association recognizes those who represent the very best in the game of golf.